La finition élégante d'argent correspond parfaitement Apple Macbook et autres ordinateurs portables avec une largeur inférieure à 10,4 pouces. Zolion Brand - Elegant Design Designed to match Apple Macbook and All note books. 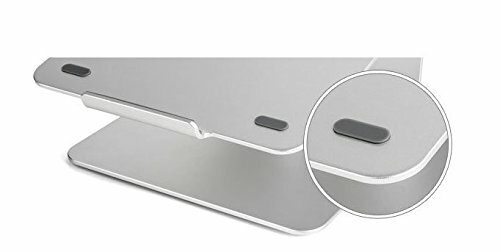 TI-Station is made from a single solid piece of aluminum with stand-blasted silver anodized finish. Ti-Station transforms your notebook into a stylish and stable workstation. All ergonomic guidelines recommend placing the screen at eye level and keeping your back, forearms and wrists straight. There can be achieved by using your laptop with TI-Station, an external keyboard and a mouse. TI-Station helps you work comfortably every day. Put Your Laptop on a Pedestal Take your productivity to the next level. 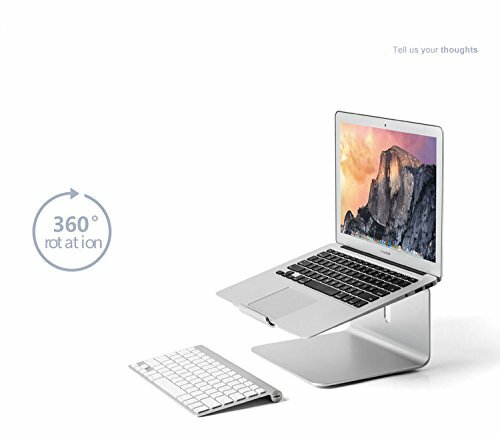 The Zolion TI-Station elevates your laptop to provide an optimal viewing angle while also leaving desk space for accessories such as a keyboard and external hard drive. 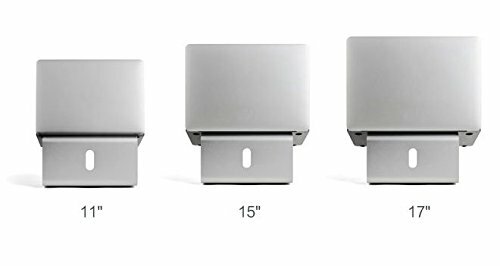 Stand Firm Enjoy an elevated viewing angle without taking up a lot of space on your desk. 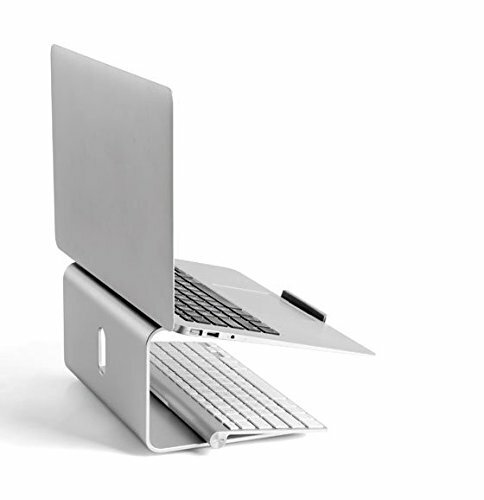 The TI-Station provides a solid foundation for your laptop with an elegant, minimalist design. Improved Airflow without Clutter The open platform improves airflow to your device to help keep it cool, while the rubber grip surface keeps your laptop firmly in place. The cable pass-through keeps your cables neatly gathered for a clutter-free workspace.